Complementary and alternative medicines are two health approaches whose roots, in contrast to conventional medicine, are non-mainstream. The terms complementary and alternative have often been used interchangeably, though they do encompass two distinctive approaches to medicine. Complementary medicine refers to the use of non-mainstream approaches to medicine in conjunction with techniques from conventional medicine. On the other hand, alternative medicine refers to the use of non-mainstream approaches to medicine in replacement of techniques from conventional medicine. A review of the literature on the use of complementary and alternative medicine indicated that there is substantial use of these techniques worldwide. One study indicated that, within the United States in particular, the use of these approaches has been on the rise over the course of the last 20 years. Further, it has been estimated that between 30% and 62% of adults within the United States have used interventions from either complementary or alternative medicine. As with most approaches to healthcare, the use of these types of techniques are influenced by both economic and socio-cultural factors. Unsurprisingly, in disadvantaged areas where there is limited access to biomedical services there is a much higher reliance on complementary and alternative approaches, including for the treatment of more serious conditions. In contrast, affluent countries tend to use these approaches for the prevention of illness and to promote overall health and wellbeing. The non-mainstream interventions of complementary and alternative medicine tend to fall within five broad categories. Traditional Chinese Medicine includes acupuncture, which is a technique that involves stimulation of specified areas of the body in order to restore balance to the flow of energy. Stimulation is done through the use of tiny needles. In some cases, electrical impulses are used in conjunction with the insertion of needles for stimulation of a particular area. Tai chi and qi gong are also traditional Chinese medicine approaches that use particular movements of the body or specified postures, which are coordinated with the breath and attentional focus. Homeopathy includes the use of homeopathic medicines that are developed from plants or minerals. These medicines are developed on two specific principals: 1) “Like cures like” (i.e., conditions can be effectively treated using a substances that triggers similar symptoms when given to healthy individuals) and 2) “The law of minimum dose” (i.e., lower doses of medication can produce more effective results). Naturopathic medicine is a holistic approach that utilizes several natural treatment methods in order to promote and provide support for the body’s own ability to heal itself. Ayurveda is a holistic approach that originated in India and focuses on the promotion of health through a balance between the spirit, body, and mind, rather than treating illness. Native American herbalism is another perspective on health that focuses more holistically on treating the entire person, rather than focusing on treating one specific condition. Thus, techniques are applied to assist the patient in being restored in terms of their spiritual well-being and their harmony with the environment. Breath-based practices are based on the premise that the breath is the primary connection between matter that comprises the body, energy, consciousness, and the mind. During periods of illness, the breath is irregular, labored, and even agitated. Thus, by focusing on calming the breath using specific techniques, one can have a beneficial impact on other functions of the body that are maintaining illness. 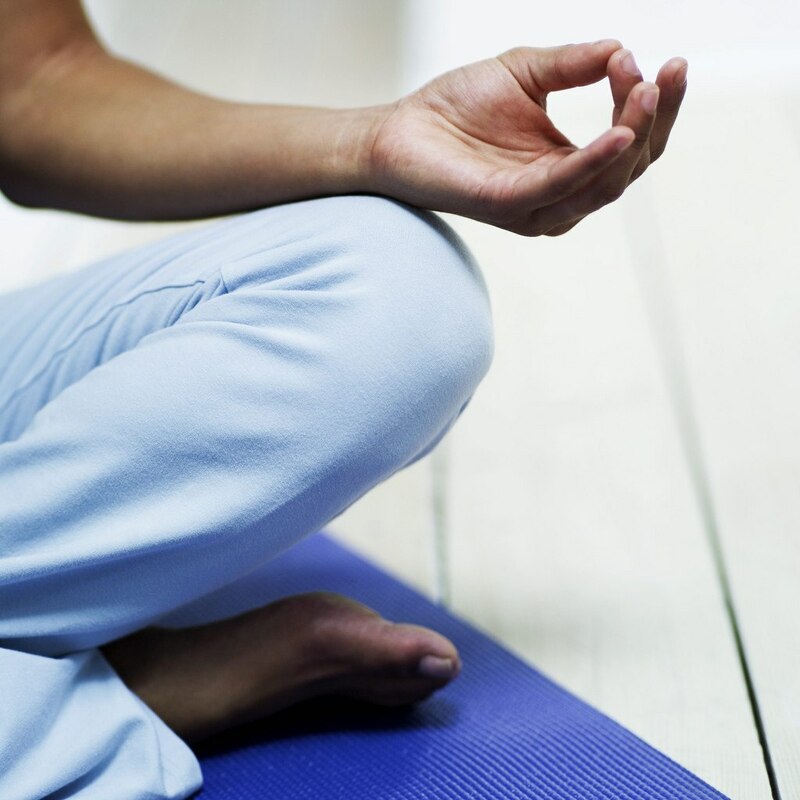 Meditation, including mindfulness meditation, is quite commonly used. The focus is on using a non-judgmental and accepting approach to becoming aware of one’s internal processes, including emotions and thoughts. Movement meditation includes practices, such as yoga, that coordinate the breath and attentional awareness with specified body movements. Biofeedback is based on the premise that individuals can have an impact on various functions of the body that are believed to be involuntary in nature (such as skin temperature, blood pressure, or heart rate) through the use of visual feedback. Spiritual- or prayer-based practices is based on the premise that prayer and spirituality can decrease the adverse effects of illness and decrease the time to recovery, through a belief in a higher power. Clinical nutrition therapy is an approach that targets a healthy energy balance. Thus, nutritional supplements may be used, along with other dietary changes, in order to restore general health within the body. Botanical medicine focuses on restoring health through the use of plant-based substances for their pharmaceutical properties. Biofield energy medicine includes techniques, such as reiki or healing touch, that focus on restoring balance and flow to the body’s biofield. An individual’s biofield includes vibrations or energies that are external to the body. Osseous manipulation focuses on using osseous manipulations or adjustments to the boney structures of the body, including the spine and other joints (e.g., chiropractic or osteopathic techniques). The goal of these techniques is to correct problems with alignment of the bones, provide relief from pain, and to improve the function of and support the natural healing process of the musculoskeletal system of the body. Soft tissue mobilization involves the application of gentle pressure to the affected soft tissue of the body in order to stretch and lengthen tissue, relax tight muscles, and reduce the amount of scar tissue. Complementary and alternative approaches to medicine have been growing in popularity. Though the terms have been used interchangeably, they encompass two distinct approaches to medicine. Specifically, complimentary approaches are those techniques that are utilized in concert with the patient’s conventional treatment plan. Conversely, alternative approaches are those techniques that take the place of a conventional treatment plan. Though the techniques used in both approaches have been around much longer than those utilized in more conventional approaches, there is little known about the efficacy of many of these interventions. It is important for individuals to consult with their doctor or other health care professional before attempting non-conventional treatment at home. Naik PN, Kiran RA, Ylamanchal S, Kumar VA, Goli S, Vashist N. Acupuncture: An alternative therapy in dentistry and its possible applications. Med Acupunct 2014;26(6):308-314. The post Complementary and Alternative Medicines appeared first on Pain Doctor.